Riding high on his success as both Rising Damp’s seedy landlord Rigsby and frustrated middle-manager and fantasist Reggie Perrin, Leonard Rossiter slipped further down the social ladder to portray a low-rent, manipulative wrestling manager determined to make a quick buck. 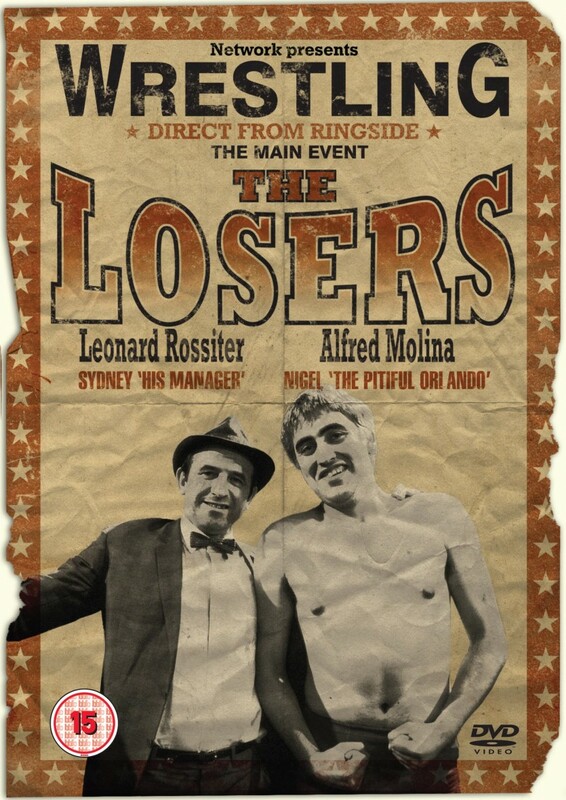 Penned by celebrated journalist, writer and satirist Alan Coren, this hilariously wry sitcom is directed by Joe McGrath and also stars Alfred Molina – in his first television role – as the champion non-champion. The original transmission masters of The Losers have long since been destroyed, with all five episodes on this set digitally recovered from the only existing off-air recordings; episode six remains missing but a PDF of the script is included on this set. Viewers will notice a drop in picture quality when compared to other 1970s series released on DVD.